Tuesday’s special-election results should put fear in the hearts of Republicans ahead of this year’s midterm elections. And they should make Democrats reconsider how much they need to fight about the future direction of the party. There’s been a lot of either-or argument over what the future of the Democratic Party should be. Should Democrats seek to build a coalition of college-educated suburbanites plus white urbanites and minorities, or should they try to win back blue-collar white voters who have fallen away from the party in recent decades? Win over voters who rejected Obama and Clinton in all three elections. These results should hearten Democrats and scare Republicans, especially when examined on a town-by-town basis. Consider, for example, Mt. Lebanon, an affluent and highly educated Pittsburgh suburb that is included in the 18th. Obama took 54% of the two-party vote there in 2012. Despite losing the state, Clinton improved strongly on Obama’s performance in Mt. Lebanon, as she did in many suburban, well-to-do areas in Pennsylvania. She got 64% of the two-party vote. On Tuesday, Conor Lamb got 72%. Now consider Franklin Township in the rural Greene County, where the median family income is less than half what it is in Mt. Lebanon. While this area of Pennsylvania has a Democratic tradition, recent Democratic presidential nominees have done poorly here. Obama got 34% of the two-party vote, and Clinton got just 28%. 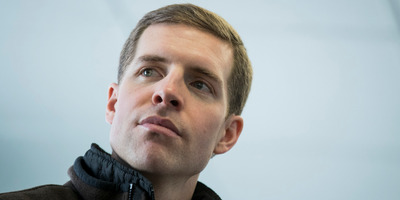 Conor Lamb managed 43% on Tuesday. That is, he did better than Clinton where Clinton did better than Obama, and better than Obama where Obama did better than Clinton. Now, imagine that laid out across the country: Democratic candidates holding together the Clinton coalition while rebuilding the Obama coalition and then adding on some new voters who weren’t part of either. This result bodes well in places like Orange County, California, and central New Jersey: affluent suburbs where Clinton won in spite of a long Republican tradition. And it bodes just as well in places like eastern Iowa – and other Rust Belt districts like Pennsylvania’s 18th – where Democrats have lost their previous strength. This is just one election result, though it’s in line with many other special-election results where Democrats have strongly outperformed their 2016 results. But it’s one that should make Republicans feel bad about their odds in November – and one that should make Democrats reconsider how much they really need to fight among themselves about the future direction of the Democratic coalition.